KATHMANDU, Dec 13: The Supreme Court (SC) on Wednesday sought papers from the government regarding its decision on transferring the health secretary after ousted secretary Dr Pushpa Chaudhary moved the apex court. Similarly, the apex court also demanded the government to produce the written text of the decision on appointing Kedar Bahadur Adhikari as the new health secretary. Health Secretary Dr Chaudhary had moved the Supreme Court on November 1 after the government transferred her to the Office of the Prime Minister and Council of Ministers, alleging her of poor performance. The government had filed an application at the SC on November 21 to vacate a stay order issued by the apex court responding to Dr Chaudhary's writ. A division bench of justices Hari Krishna Karki and Sapana Malla Pradhan looked into the case and sought the government decisions on secretary transfer. Karki and Malla were appointed as SC justices under the quota allotted for the CPN-UML, which was later merged with the CPN (Maoist Center) to form Nepal Communist Party. Meanwhile, Nepal Medical Association (NMA), the professional organization of doctors, has demanded the government to correct its decision after the government once again breached the practice of appointing medical officer as secretary at the Ministry of Health and Population (MoHP). Issuing a statement on Monday, the NMA asked the government to implement Health Service Act (Clause 19) by appointing medical officer as health secretary. In the recent years, there was a practice of appointing medical officers as health secretary. 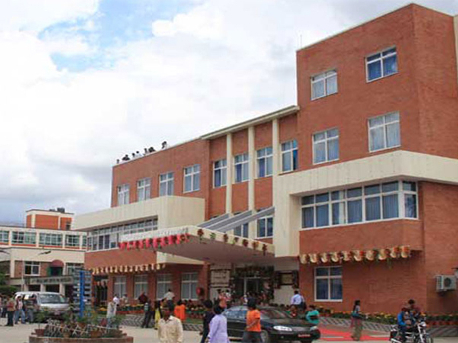 The NMA demanded the government to withdraw its decision to appoint Adhikari as the health secretary. The Nepal Health Service Act 1997 has a special provision of appointing health secretary from the medical sector but the Act has not made it mandatory to appoint doctors as secretary. The Act says the doctors can also be appointed as secretary of the MoHP. Before this Act, the health secretaries were appointed only from the administration sector. During the tenure of former prime minister Girija Prasad Koirala, Dr Sudha Sharma was appointed as health secretary for the first time. She was also the female health secretary of Nepal.